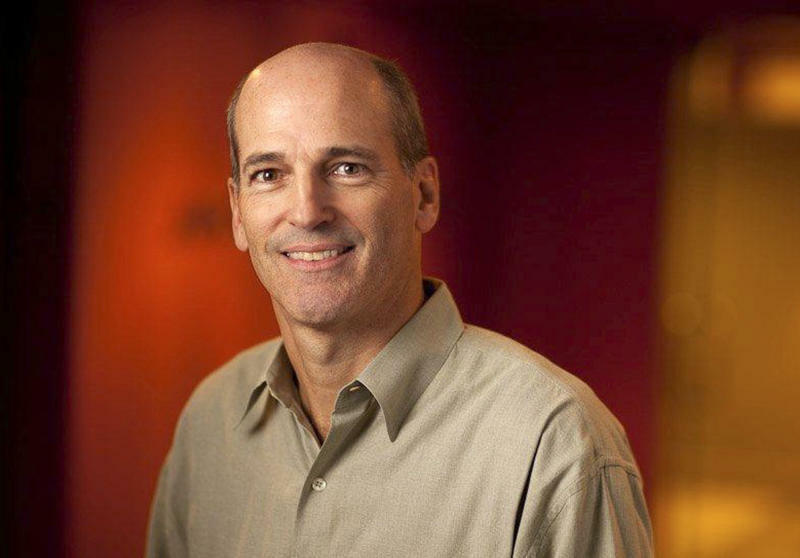 LOS ANGELES (AP) — Pandora's new CEO Brian McAndrews is a rock star of the digital advertising world. He's best known for supercharging growth at digital marketing company aQuantive before its $6.3 billion sale to Microsoft. 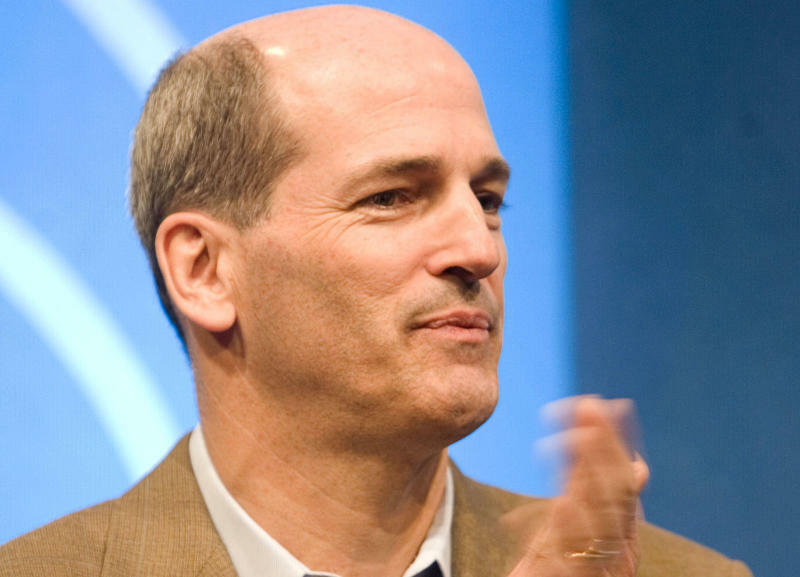 But as he takes the helm at Pandora, a daunting task awaits. The new tune-spinner-in-chief will need to oversee the renegotiation of the royalty fees the company pays to artists and recording labels. What sounds like a mundane legal tussle could be a make-or-break moment for Pandora. The company's Internet radio service is wildly popular and continues to grow despite an expanding landscape of competitors. It has 72.1 million monthly users, and some 2.5 million people have activated Pandora in their car dashboards. Since the beginning of the year, Pandora's stock is up more than 150 percent. Even so, royalty fees are the Internet radio giant's biggest drag on profits. For each song the service streams to listeners, the company pays a fraction of a penny in royalties, a rate that will rise each year through 2015. Last year, more than half of Pandora's $427 million in revenue went toward royalty payments, and costs are growing with every song its service plays. If Pandora doesn't prevail in its negotiations, the company may need to increase the number of ads it presents to listeners or raise subscription fees in order to turn an elusive profit. But doing so could turn off listeners and hurt its ability to compete with services such as Apple's iTunes Radio, which launches next week. McAndrews' appointment as CEO on Wednesday sent Pandora's stock up 12 percent to $23.97 on Thursday. The 54-year-old executive told The Associated Press that the royalty fight is "a ways off" and that he'll rely on the counsel of co-founder Tim Westergren and outgoing CEO Joe Kennedy. "I'm confident we'll be prepared and do the right thing," he said. "I do share Pandora's longstanding belief that musicians should be fairly compensated for their work," McAndrews said, adding that the existing patchwork of laws was "created piecemeal over decades" and "doesn't serve any one very well." Pandora's royalty costs are the main reason it posted another net loss in the quarter through July, of $7.8 million, despite revenue that rose 55 percent to $157.4 million. It has been difficult for Pandora to rein in royalty costs. In February, Pandora restricted listeners to 40 hours of free mobile listening per month, in an attempt to cap royalties driven by its heaviest users. But after listener hours began falling, it reversed the move in August. Analysts are concerned about the bind Pandora is in. "They're kind of stuck in this situation where they can't get to profitability from growing their users. They need to get to profitability from giving their users less content," said Rich Tullo, an analyst with financial services firm Albert Fried & Co. "That's a kind of tough position to be in as a company." What's different about the upcoming fee negotiations is that Pandora's survival is no longer in doubt. Analysts expect that in the fiscal year through January, Pandora will post its first positive earnings per share — 3 cents after excluding special items — since it became a publicly traded company in the summer of 2011. Despite its narrow profitability, some artists believe they haven't been compensated enough for their contributions to Pandora's success. Many of them want a bigger share of the riches music streaming is generating. Pandora's revenue is more than 20 times what it was in 2009, the last time it reached a deal with the recording industry. David Lowery, frontman for the alternative rock band Cracker, blogged in June that he could make more from the sale of a single T-shirt than the $16.89 Pandora paid him for a million plays of the band's 1993 hit "Low" in the final three months of last year. While he acknowledges he made $50,000 in royalties last year across all streaming and sales formats, Lowery told The Associated Press his fight is about the future, because services like Pandora are displacing other forms of listening. "If we don't get the webcasting rights right for songwriters, we're screwed," Lowery said. Pandora has tried numerous tactics to drive royalty costs down. In June, it bought a South Dakota radio station to qualify for the lower fees charged to station owners. The company also backed a now-defunct bill in Congress that would have lowered its rates. Each move has been met with strong opposition from the music industry. Internet-powered music services are becoming more and more important to musicians and labels. So-called "access models" made up 15 percent of the music industry's $7.1 billion in revenue last year, up from just 3 percent in 2007, according to the Recording Industry Association of America. Because Pandora's 2009 deal with record labels and publishers now acts as a benchmark for other companies, including Apple, any fee reductions in a new deal with Pandora would have a ripple effect across the industry. "That's why everybody in the industry is very exercised about these rates," says RIAA President Cary Sherman. Pandora pays record labels and performers combined about $1,200 for every million song plays. The rate goes up $100 each year through 2015, when the current deal expires. Pandora pays another $200 or so per million plays to session musicians, songwriters and publishers. In all, the payments amounted to more than $214 million last year, or roughly 50 percent of Pandora's fiscal 2013 revenue. Pandora has pointed out that, as a percentage of revenue, that's more than the $300 million paid by Sirius XM, or about 9 percent of revenue, and the $500 million paid by the entire traditional radio industry, or only 3 percent. David Oxenford, a copyright attorney who has represented Pandora, says the Copyright Royalty Board's likely first step when hearings start in January will be to give the music industry and Pandora six months to come to a deal on their own. Pandora is also fighting separate battles in court with the two major songwriters' societies, Broadcast Music Inc. (BMI), and the American Society of Composers, Authors and Publishers (ASCAP), over songwriting royalties. It's a separate challenge that McAndrews will also have to navigate. Still, even as they attack Pandora, music industry executives acknowledge that they share a future with the company. "We want Pandora to be a raging success," said Paul Williams, president of ASCAP. "But their success should be our success, too."